Time flew by as each speaker presented their speech. Rishant brought us his perception of leadership – focusing on what he could learn from to change his leadership style. Jafar’s speech focused on how one can make money. His humour livened up the room. To quote “The person who says money doesn’t bring happiness hasn’t walked into the right store”. We had Brett come in from Orion Toastmasters to share his knowledge on presenting a speech. This was Katie’s first meeting as Toastmaster – the meeting ran with no hiccups. Our word of the day was sibilate – interesting choice by Reuben. We said good bye to one Toast of Broadway’s veterans, Neil. 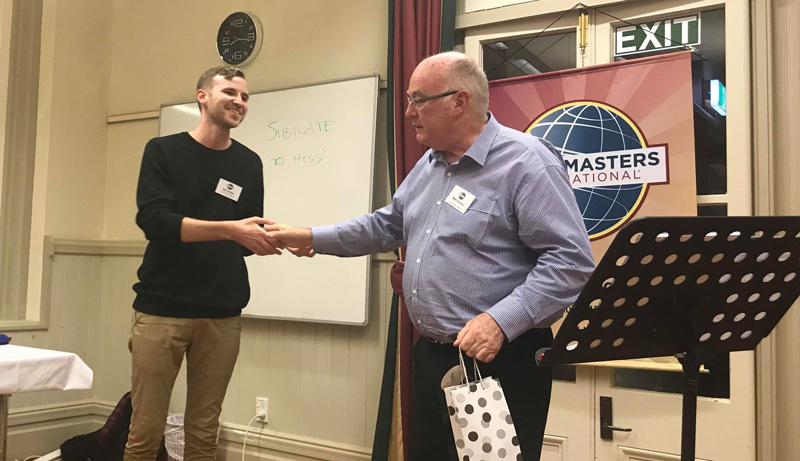 As he passed on the torch to the new gen of toastmasters. Neil has been with the club for 13 Years. On to the next one.